Advance Packaging & Adhesives LLC is best manufacturer and supplier of Masking Tape all over UAE including Abu Dhabi–AUH, Ajman – AJM, Sharjah – SHJ, Dubai – DXB, Fujairah – FUJ, Ras Al Khaimah – RAK, Umm Al Quwain – UAQ. Masking tape is generally used to protect interior, furniture, flooring while painting or repairing the indoor applications. For better performance, surfaces should be as clean and dry as possible with any loose material and dust removed as far as possible. Masking Tape is ideal for masking off areas which are not to be painted. The main benefit of utilizing the tape is its weak adhesive that allows easy removal without leaving behind any sticky residue. Our tapes come with different available adhesive strengths. 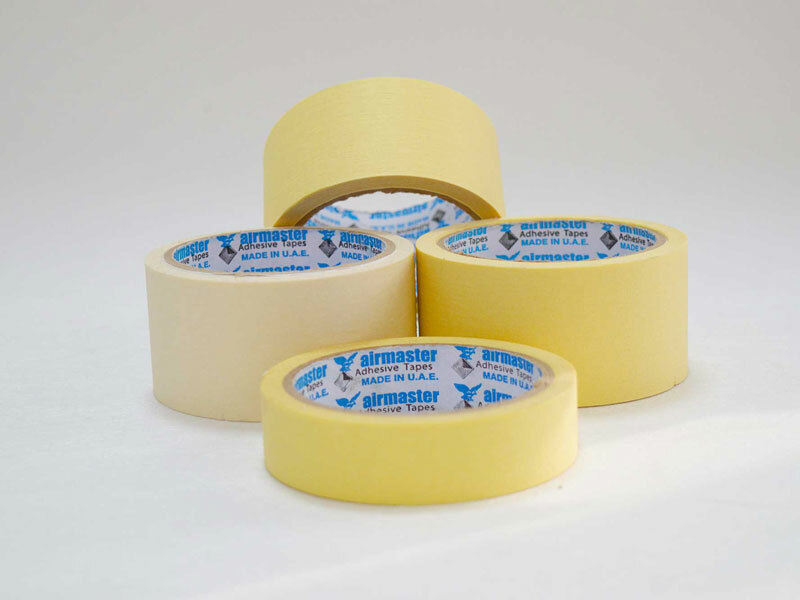 Economical masking tape offering both economy and versatility for a variety of applications. Use for general purpose packaging, building, holding, Hardwood flooring repair, splicing, masking and labeling.